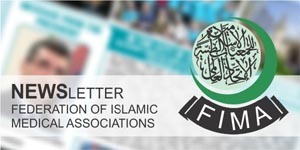 Pakistan Islamic Medical Association (PIMA) is one of the largest organizations of doctors of Pakistan. It objectives are to improve Islamic learning and medical education among doctors and to help the needy patients. PIMA Centre holds its Conventions Biennially in different cities where doctors from all across Pakistan gather in large numbers and learn from deliberations of scholars and leading doctors. In 2012, Karachi will be the host again. The working group of PIMA Karachi along with a team of leading physicians, surgeons and teachers are in the procaess of making a memorable and meaningful two days’ program. There will be a mixture of Science, Education, Ethics and Health Advocacy. Insha Allah Parallel Sessions are planned on Women Health, Pediatrics, Cardiology, Chest diseases, Bone and Joint diseases, Neuropsychiatry, Cancer, Hematology, Diabetes, Hypertension and Radiology. There will be Workshops on Trauma management, Diarrhea and malnutrition in children, and Research Methodology. Guidelines on management of these topics are to be distributed. Plenary sessions will include State of the art lectures, Panel discussions on Health policies, doctors’ issues and a Public awareness session. A Social evening (mushaira) and a Scientific exhibition are also part of the program. A souvenir will also be distributed. It will be a large gathering of doctors of all specialties, family physicians, postgraduates as well as undergraduates, from all over Pakistan. 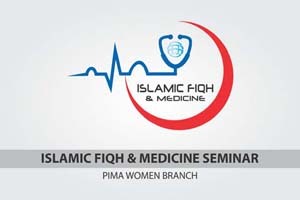 Doctors from abroad, including those FIMA (Federation of Islamic Medical Associations) are expected to attend. We invite you to attend this memorable event, invite others, advise us and help us in its organization. You should be assured that whatever you invest, your time, expertise or money, will go for a good cause Insha Allah. Secretariat: PIMA House, 2nd floor, PECHS community Hall, Shara-e-Qaideen, Karachi. Email: info@pimakarachi.org ; Tel: +92-21-34534379.